Well, I guess I'll start with the good. Monte & I met up earlier today before I had to get to work later in the afternoon and we hit one of the local haunts. 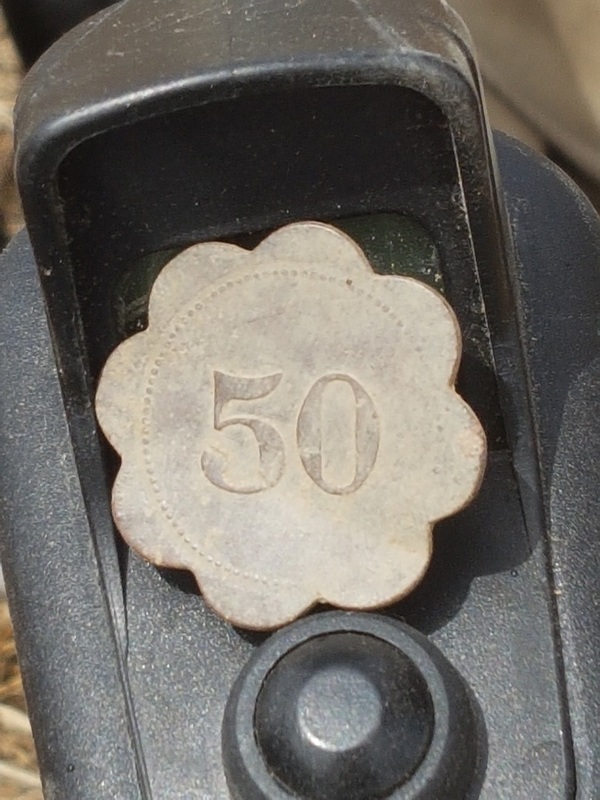 We started out and about an hour into the hunt, the good ol' Fors Core got a signal, the numbers were bouncing around due to some other debris close bye, dug the signal and got a very nice trade token. 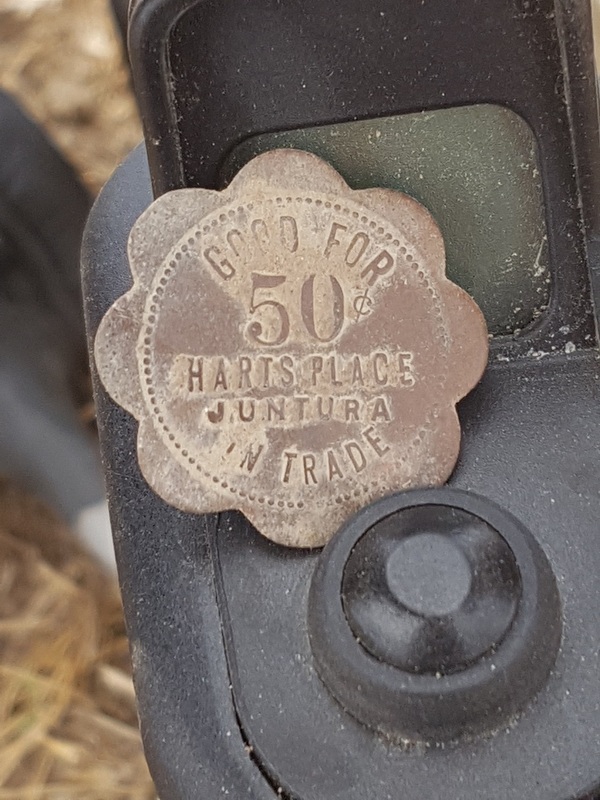 It's a "Good For 50cents Harts Place" from Juntura, OR. It wasn't too many minutes later Monte came walking over ( he's never done that) and was waving something and I'm like, what the heck do ya got.......but I saw him grinning so I immediately expected it was going to be shiny and silver. Sure enough, it was, he got a nice 1892 Barber Dime. So that puts the silver count 9 to 7, he is closing the gap and starting to put the pressure on me So was a good day and we each found a nice keeper. So now the bad. This site is what we call Phils Place and the site actually has 3 different landowners that own various parts of the site. We had permission from 2 of the owners. A large ranch owns approx. 80% or more of the site and the 2 other landowners own the rest. 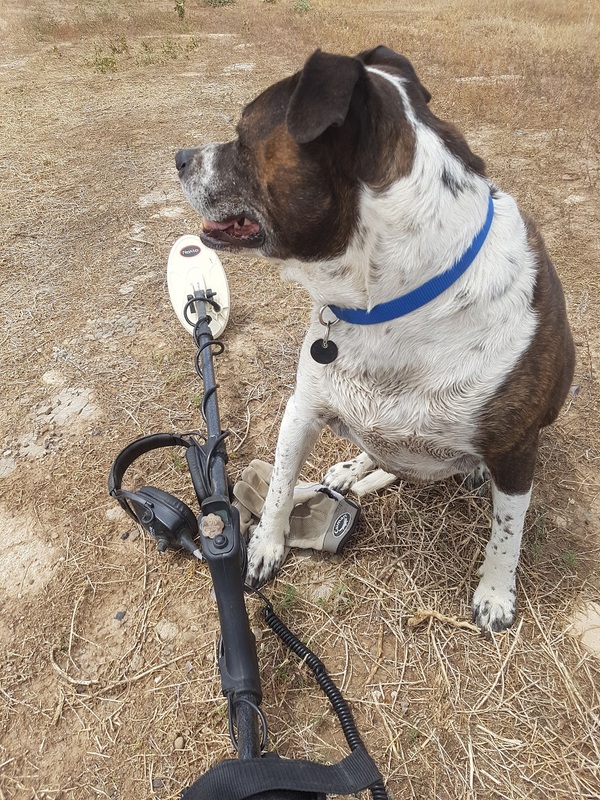 The owner of the ranch land passed away recently and now his son is in charge. As of today, the son said no more and posted a bunch of Keep Out, No Trespassing signs. So we lost that permission and a very large portion of the site in which to hunt. We are now down to just the small portion ( 10% or so) that the lady owns. It was sad to lose that permission, that site has been pretty good to me over the last 5 years. Hopefully, someday the circumstances will change. p.s forgot to get a pic of the dime, maybe Monte will post a pic. Edited 1 time(s). Last edit at 05/30/2018 09:16PM by OregonGregg.